Sit back and prepare to be angry. The government has gone and done what we told those no good, pencil pushing, paper shuffling bureaucrats to do. That's right. They've cut costs, regulations, and in some cases even federal jobs. Say it's not so! Oh, but it is so. For 35 years I've had a ringside seat to the privatization of government. I've watched and may have even participated in this devolution of regulation and contracting out not only Federal jobs but actual Federal responsibilities. 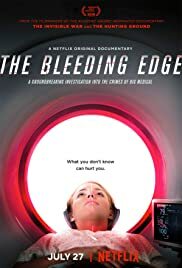 The Bleeding Edge is the story of the chickens coming home to roost.